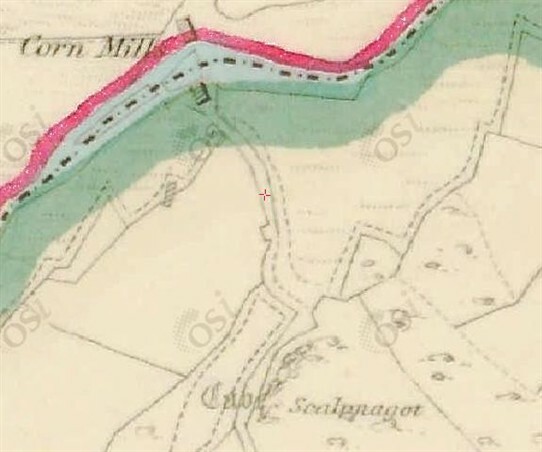 Bunnadober Mill, (see maps below text) located in the Parish of Ballinchalla, Barony of Kilmaine is located off the Ballinrobe/Clonbur Road (L1613+R345) close to Carn Daithí and is the site of a rare horizontal mill, also known as Moran’s Mill locally. The surrounding area was once titled Bun na dTobar* [Bottom of the Spring Wells]. According to a spokesman for the Inland Fisheries, the water flowing here arrives by an underground river. 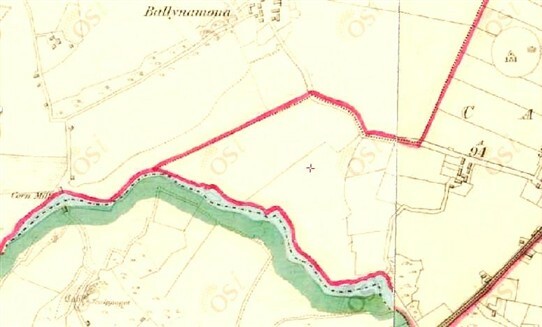 When tested with dye, it was established that its mother source was the Bulkaun River which runs through part of Ballinrobe town. This location for a mill probably dates back many centuries however, since 1885 it was operated, amongst others by a William Walsh. Around the 1900's John and Bridget Moran took over. Bridget continued to work the mill when John died in 1916 and when their son John took possession he built a corn drying kiln. In 1980 the mill was finally closed and taken under State protection. There is no have public access at present. This rare surviving example of the horizontal mill in Ireland contained other mill machinery of significance and once powered a wide range of operations, including blacksmithing, stone and wood cutting. 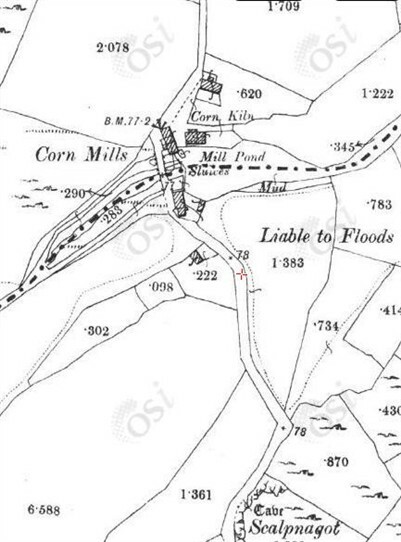 While I cannot remember who told me, apparently the area just past the mill was used in the 1800's and 1900's as an area for washing blankets from the two Barracks in Ballinrobe, (the Infantry and the Cavalry Barracks) as the water was considered pure and clean with few impurities. Others used the waters for laundry purposes also. This page was added by Averil Staunton on 04/05/2013.